This beautiful wildlife collectible pin features the artwork of professional artist DJ Geribo. 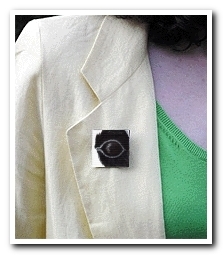 Depicted is the eye of the Giant Panda. 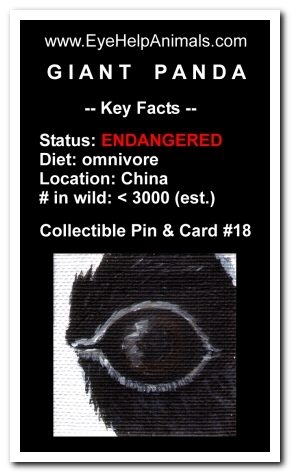 Wear this pin with pride and know that you are helping to save the giant panda! for the duration of their "Give So They Stay" campaign. 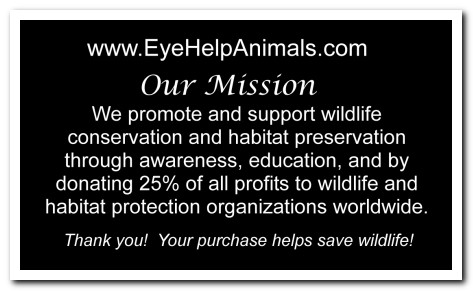 25 % of the profit from every item we sell helps save wildlife and protect habitat.